Add a little more luxury to your stay, along with some of the creature comforts of home. 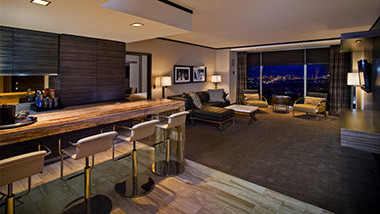 Your Classic Suite features a conversation bar, an elegant living room area and a separate powder room for your guests. 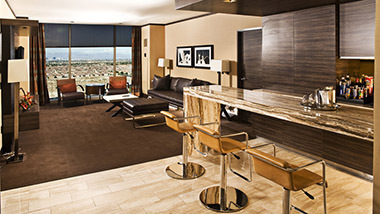 Enjoy an amazing view of the Strip through floor-to-ceiling windows. Relax on your king-size, custom pillow-top mattress. Take in a game on the 42-inch HD LCD TV. Or enjoy some alone time lounging around in your complimentary bathrobes and slippers.